Founded in 1984, the Minneapolis Jewish Day School was established by a group of community parents who envisioned the creation of a pluralistic Jewish day school for their children. There were 19 students in kindergarten and grade one. They sought an immersive educational experience that combined Hebrew language, Jewish learning and values, and excellent general studies academics into one school day. In its inaugural years, MJDS was, at its heart and soul, a volunteer-supported organization, as parents would gather each night to prepare hot lunch for the following day and dream together, late into the night, about the growth and future of the small community school they had created. MJDS' first home was as tenants in the Talmud Torah afternoon school in St. Louis Park, MN. MJDS received beneficiary status from the Minneapolis Jewish Federation and, by the time MJDS moved to its new space at the Barry Family Campus in 1990, there were 112 students enrolled, K-6. The first graduate, of many to come, was honored at graduation in June of 1991. The move to the Barry Family Campus created a powerful synergy between the institutions sharing space and programming. MJDS students and their families used the gym, pool, fitness center, dining room, art studio, art gallery, theater, and air-conditioned classrooms. The MJDS families' presence on the campus brought renewed vitality to the Jewish Community Center and wonderful opportunities for growth for both institutions. The first professional leaders of the school were Rabbi Avram Ettedgui and Mary Jane Higley. Nechama Moskowitz, an accomplished Jewish educator with expertise in curriculum, was the next Head of School hired to bring the school to a new level of educational credibility both in general and Judaic studies. Audrey Goldfarb, formerly the Lower School Director at the Breck School became Head of School in 1993 and took MJDS into a new era of continued growth. Dr. Ray Levi became our Head of School in 1999 and shepherded us into the thoughtfully-designed new building on the Barry Family Campus and kept best practices in education in the forefront. He also oversaw an unprecedented period of enrollment growth for the school. For 10 years, MJDS partnered with the Talmud Torah of St. Paul operating the Twin Cities Jewish Middle School (TCJMS) for 7th- and 8th-graders. Building on the success of TCJMS, in the fall of 2007, MJDS opened its own 7th and 8th grade program. 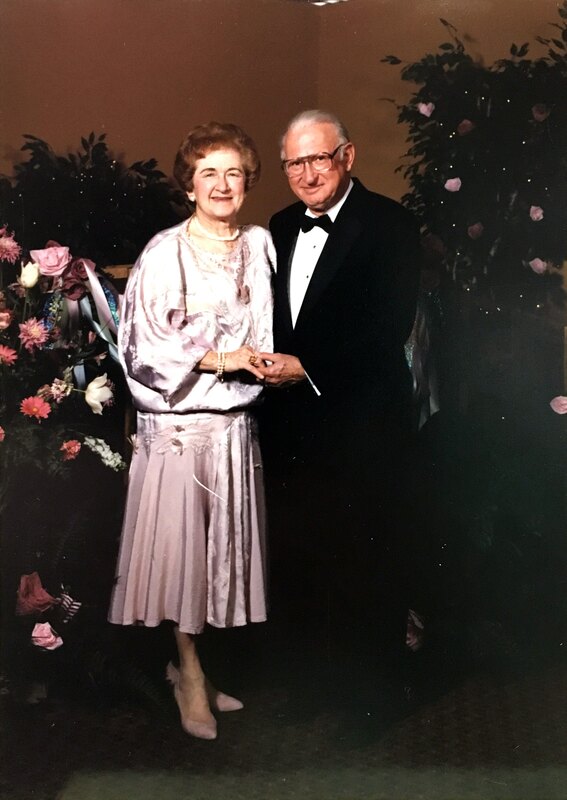 In 2008, the school received a significant gift from local businessman and philanthropist Amos Heilicher in memory of his beloved wife, Celia. The newly named Amos and Celia Heilicher Minneapolis Jewish Day School (HMJDS) continued to focus on its core values of academic excellence and building a strong community. Yoni Binus has served as Head of School since 2014, and under his leadership the school has undergone a strategic planning process to set the course for continued success. Heilicher recently expanded its community outreach programs to include more time to commit to social justice. All-School Lunch is a popular activity in which students from all grades connect. Heilicher has an award-winning arts program, instrumental music, theater, and robust after school sports program. The school has come a long way from its humble beginnings in 1984 while remaining true to its core mission. Amos Heilicher's father, Menachem, began teaching at the Talmud Torah of Minneapolis shortly after his arrival in the United States in 1914. His family has been involved in Jewish education ever since. In 2008, Amos Heilicher made a substantial gift to the Minneapolis Jewish Day School, in memory of his wife, Celia, who passed away in 2007. In their memory, the school was subsequently renamed the Amos and Celia Heilicher Minneapolis Jewish Day School. Born on the North Side, Amos Heilicher mastered the art of deal-making early. "When you grow up poor", he explained, "it tends to make you ambitious." In later years he confessed, "I've never had a real job in my whole life" but countered with "I'm never going to retire." He never did. Amos and his brother Daniel were pioneers of the record industry. Their shared history stretches back to the 1930s, through their companies Heilicher Bros., Musicland, and Pickwick International, one of the major record wholesalers in the US. For his significant impact on the music business, Amos was inducted into the Minnesota Music Hall of Fame. Other business ventures included American Amusement Arcades, Piccadilly Circus, Circus Pizza, Korner Plaza, and Crossroads Deli. He was very involved in his earlier years with the Minneapolis Jewish Federation, Talmud Torah of Minneapolis and continued his philanthropy throughout his life, in support of Israel and countless other community causes including the Mt. Sinai Hospital Board of Governors and fundraising for the Minneapolis Symphony Orchestra. His passion for Jewish education was realized through the major gift he made to the Jewish day school. The consummate hostess, Celia Heilicher for many years enjoyed entertaining with Amos on their boat on Lake Minnetonka and other momentous events. Affectionately remembered for her trademark red hair, idioms, and signature coffee cake, she relished family gatherings and deeply valued involvement in the Minneapolis Jewish community. Celia was a lifetime member of Sholom Auxiliary, Talmud Torah Auxiliary, and Hadassah. Amos and Celia's daughter, Elissa (Lisa) Heilicher, remains significantly involved with HMJDS, including her proud role as grandma to several HMJDS students over the years. She is an HMJDS Ner Tamid (Eternal Light) award recipient, and a true pillar of the Minneapolis Jewish community. The Heilicher Foundation remains a major funder of the school, and we are deeply proud of the family's sustaining legacy. HMJDS is honored to continue the tradition of commitment to Jewish education and community engagement modeled by Amos and Celia Heilicher, as well as their parents, children, and grandchildren.